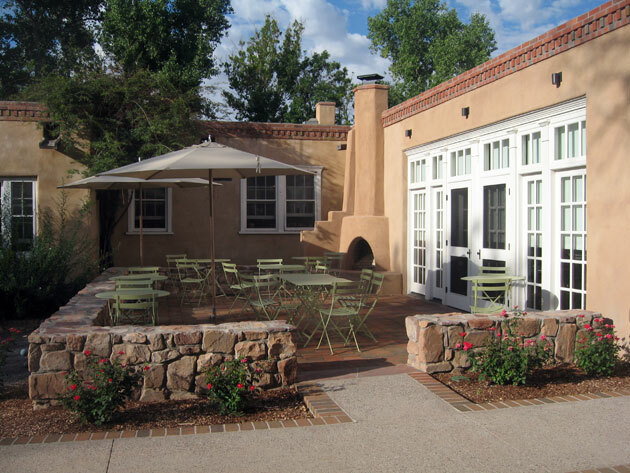 A transformation of Los Poblanos into a country inn, conference center and sustainable farm solved the complex preservation and development pressures that faced the historic structures. 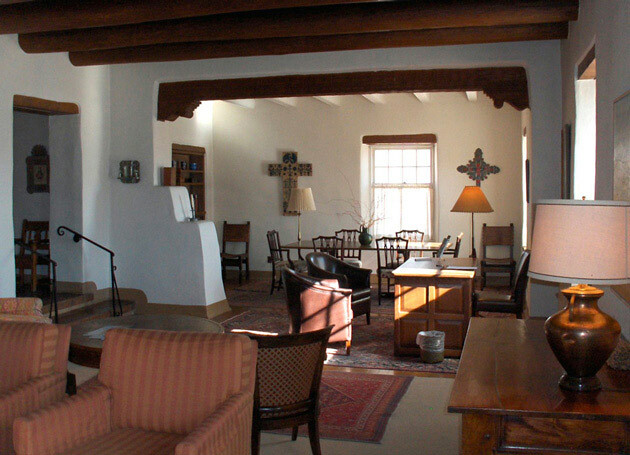 Designed by noted New Mexico architect John Gaw Meem in the 1930s, they are located on a 25-acre parcel in the middle of Los Poblanos Ranch. 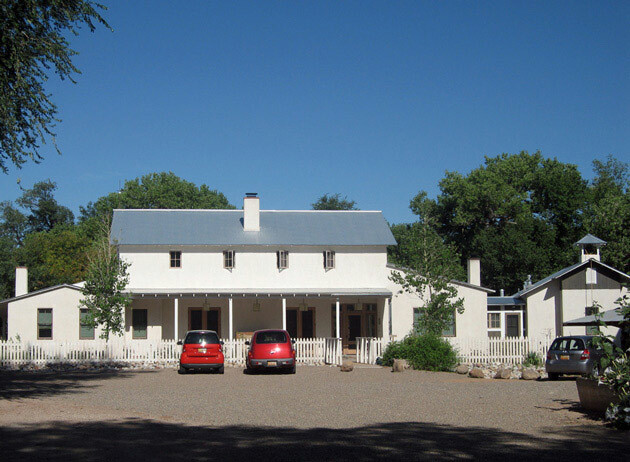 Now a subdivided 2,500-acre farm adjacent to the Rio Grande, the property was originally part of the 18th-century Armijo Land Grant. The Rembe family resides in the historic buildings and is responsible for maintaining them intact. 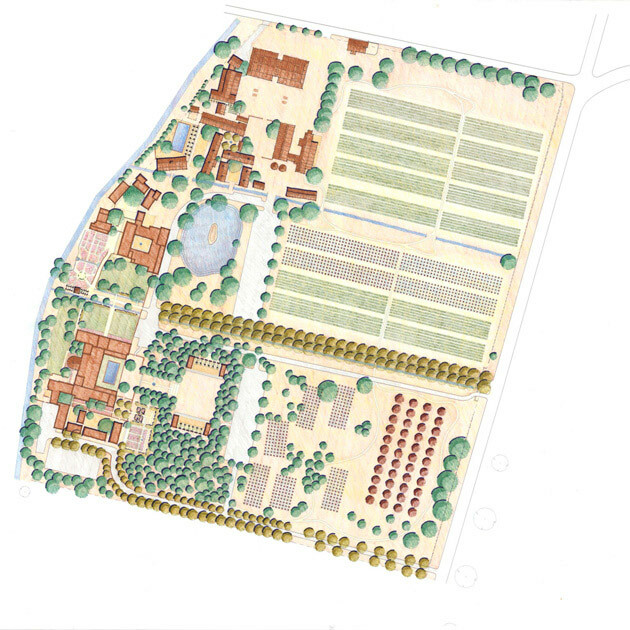 A three-part solution was proposed in response to the complex preservation and development pressures that faced the estate. 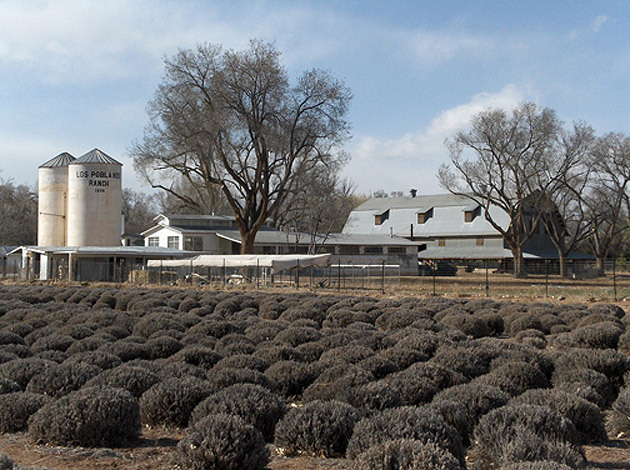 The first preserves two-thirds of the estate as a permanent agricultural trust. 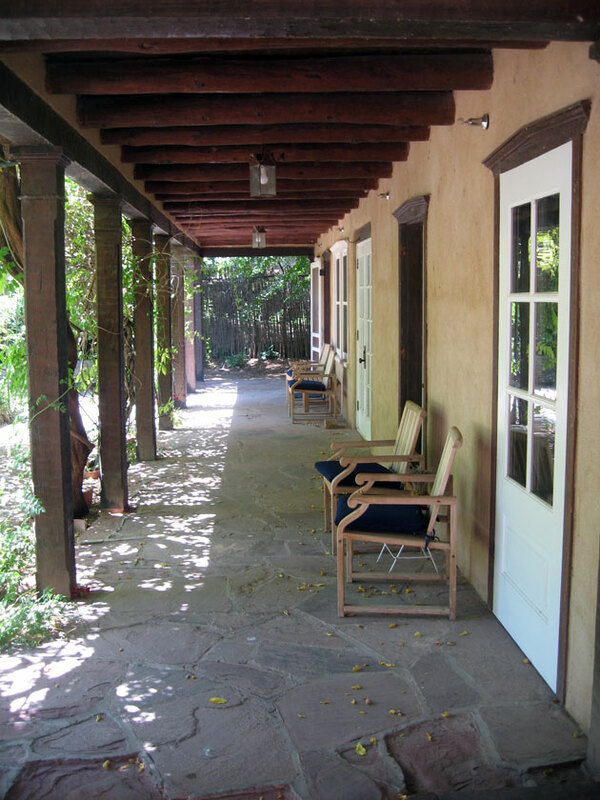 The second limits residential entitlement to a small area and configures its 20 guest rooms/casitas in a Southwestern compound form. 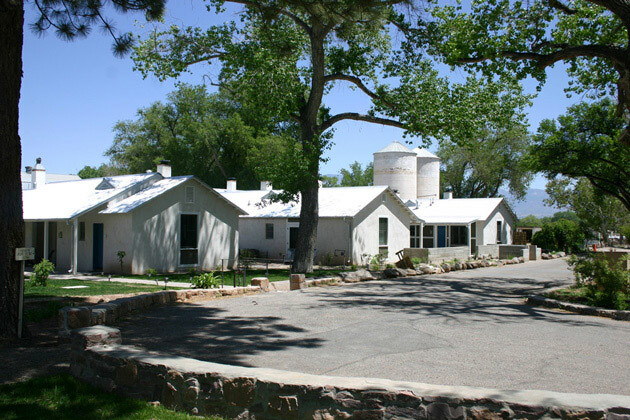 The third transforms the original Meem buildings into the core of an expanded country inn and meeting center. 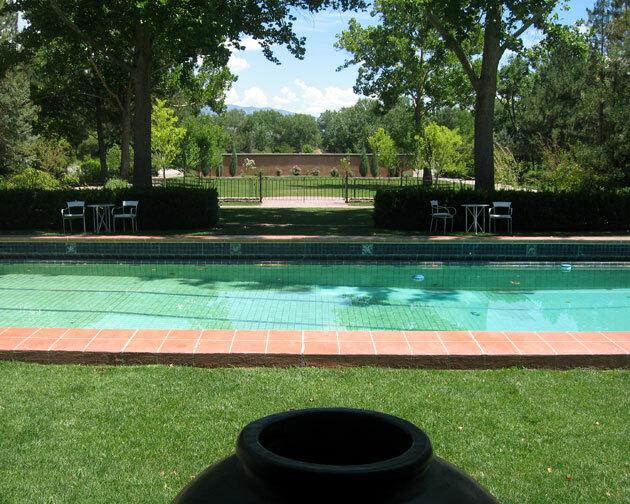 Environmental measures include maintaining the acequia network, conserving all historic buildings, employing green specifications, and enhancing sustainable agriculture and agritourism on the property. 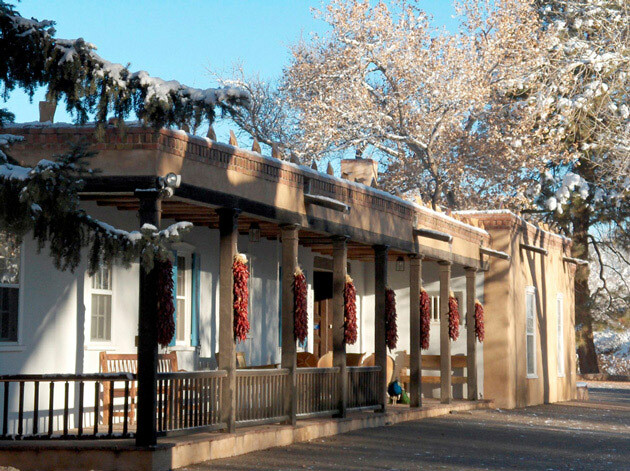 Los Poblanos Organics supplies all produce to the Inn as well as to outlets throughout Albuquerque, continuing the estate’s farming traditions. The new Rembe Residence, in the form of an agricultural service building, is located on the north of the property in a farm service yard.